Here at Secure Style we have an extensive range of uPVC doors, available in a wide variety of colours and finishes. Browse through our stylish collection courtesy of our online quoting system and get online prices for your favourite designs. Secure Style has UPVC doors to suit every property, from simple glazed styles to more ornate and decorative designs. 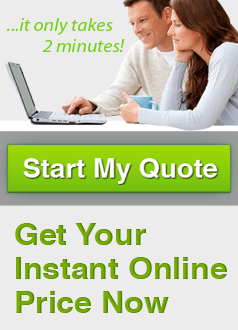 You can get an instant online price whatever your preferred style. With your homes security in mind, we ensure all our doors meet industry standards. Working closely with Secure By Design (a crime-prevention initiative) we enable our customers to have the best possible protection. Tested to the latest British and European standards for air, water and gusting, all our doors possess outstanding weather performance. All our UPVC doors are designed to meet Secure By Design standards, meeting the requirements of PAS24 and passing the ‘Enhance Resistance’ test. There are a variety of benefits to choosing uPVC doors from Secure Style. One of the main features is the energy efficiency of our products. Also a highly practical choice with the option of either a low or a standard threshold available. Low threshold being ideal for wheelchair or push chair access. Security is highly important to us, which is why we provide highly secure ATK locking cylinders as standard. With a 28mm low-line glazing bead with multi chambered reinforcement and locking handles your safety is always put first. The structure of our uPVC doors contains a large outer frame and robust construction.Manufactured from a 70mm profile including a 70mm featured suite in the choice of White or Foiled finishes you can make your new uPVC door your own. For increased warmth and hightened security levels all our UPVC doors come fitted with internally glazed and multi-chambered units. The option of installing side lights creates a brighter atmosphere as soon as you enter your home. Our collection of uPVC doors come in a variety of different glass designs. Better yet, all our doors are designed to fit every style of property – modern or old. If you’re interested in getting a price for one or more uPVC doors, then we can provide you with a free no obligation quote. Just head on over to our very own online price generator where we can provide you with price options for a wide range of uPVC doors, windows and conservatories. Just have your specific requirements ready, most notably the measurements of the space that you need to fill, and then have a go at playing around with the design options to find out what suits you best. At Secure Style we are confident that we can provide the very best products to our customers with the very best customer service, we always apply 100% attention to detail to every project we take on, so you know we are a company you can trust. Keep in touch with Secure Style! Why not keep in touch with us here at Secure Style? Our highy skilled and knowledgeable team are always ready to take on any questions or queries you may have, whether it be about uPVC doors or any of the other great products and services we are proud to supply. Head on over to our contact page where you can find all the information you need in order to get in touch with us.